Fresh Pineapple Sauce with Brown Sugar - Just 2 Ingredients! 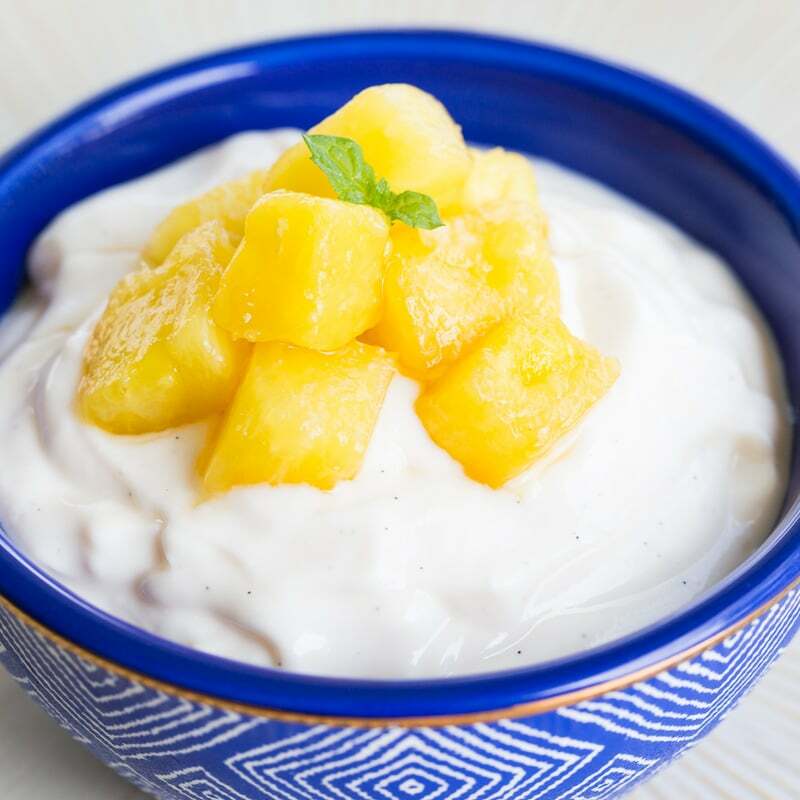 Pineapple sauce with just 2 ingredients! Simple recipe made with fresh pineapple and brown sugar. Perfect for everything from dinner to dessert. Sponsored by Art of Tea. Pineapple sauce has to be one of the greatest culinary inventions ever. Its sweet and sour flavor make it equally suitable for savory dishes, like ham, and for desserts, like ice cream or cake. The tropical aroma of pineapple sparks my fascination with delicious things that come from far away. 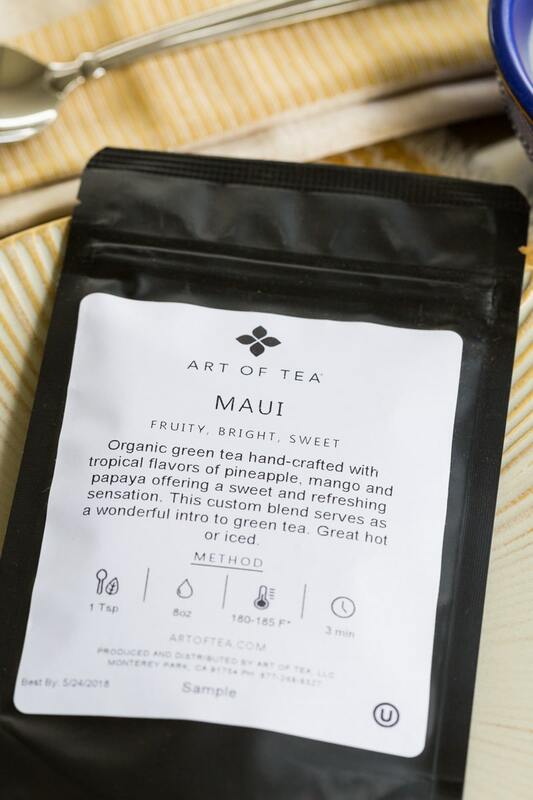 When Art of Tea sent me a lovely package of teas to sample, the Maui blend immediately caught my eye. Fruity, bright, sweet. 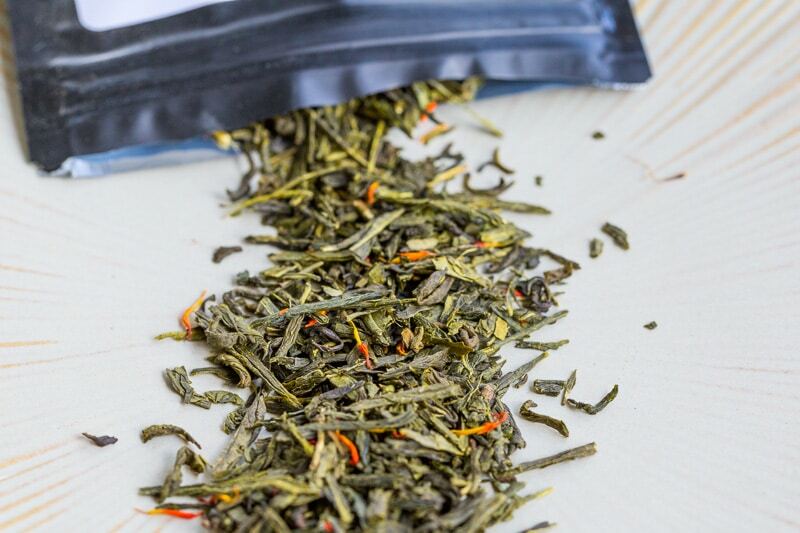 Organic green tea hand-crafted with tropical flavors of pineapple, mango, and papaya offering a sweet and refreshing sensation. It sounded perfect for pairing with a pineapple-topped treat. 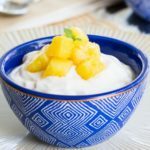 Having been inspired by the Maui tea, I decided to whip up a quick pineapple topping made with fresh pineapple. 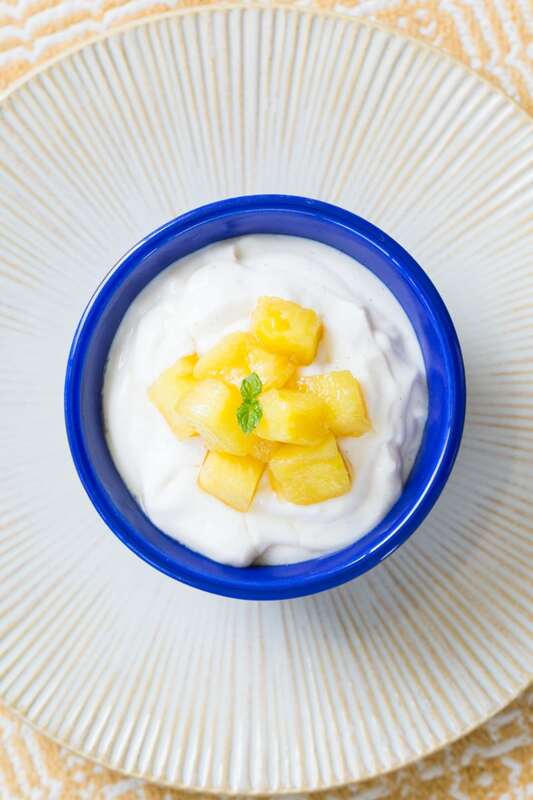 I often have a cup of vanilla yogurt as a snack, and a scoop of fresh pineapple sauce would make it a special treat. 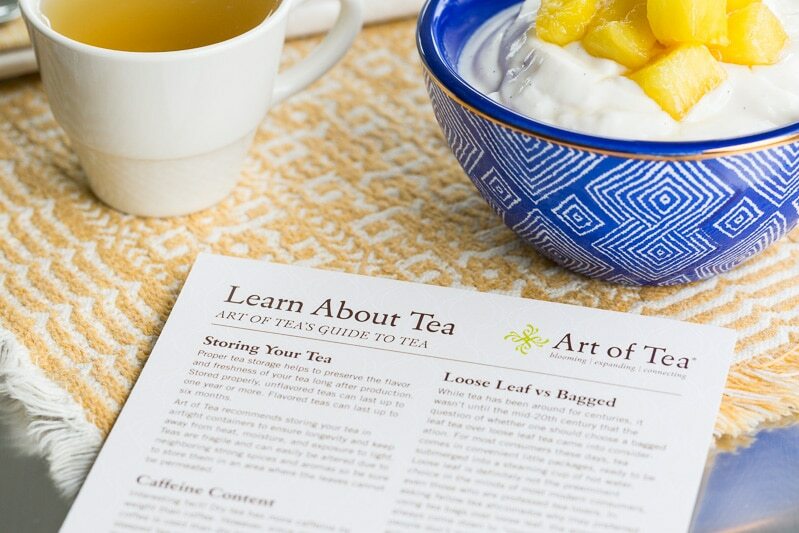 Before I got started, I sampled each of the other tea blends I had received from Art of Tea. Each one swept me away to a specific place, using only flavor and aroma as a means of transportation. First on the world tour, after Maui, was the Big Sur blend. Cream, citrus, mint. Inspired by the forest surrounding Big Sure, this blend captures the earthy aromatics of the Pacific coastline. Traveling eastward, I reached New York’s own Brooklyn blend. Sweet, creamy, malty. With a simple, yet strong black tea base and notes of Madagascar vanilla, Brooklyn will sweep you away with the same sprezzatura found in the city’s vibrant culture. All the way across the Atlantic Ocean, I found the Tuscany blend. Floral, minty, delicate. This delightful blend, with its light floral essence and smooth minty finish, is perfect as an after meal pick-me-up or as a late night elixir to refresh the mind and enhance the mood. The elevation of this tea provides a light brew and slightly astringent finish. This is a spring harvest with many white tips added to enhance the quality of this tea. What a whirlwind tour! Now I’m ready to head back to Maui and make some pineapple sauce. Fresh pineapple has an entirely different flavor from canned pineapple. It’s less sweet, and more assertively flavored. I love it. By adding a touch of brown sugar and salt, you’ll balance the sweetness and sourness while making the entire flavor more complex with just a hint of salt (like a salted caramel). You can use this pineapple topping on all kinds of things. Ham is a good choice, as are ice cream, cake, or yogurt—but have you tried pineapple on a taco? It’s incredible! 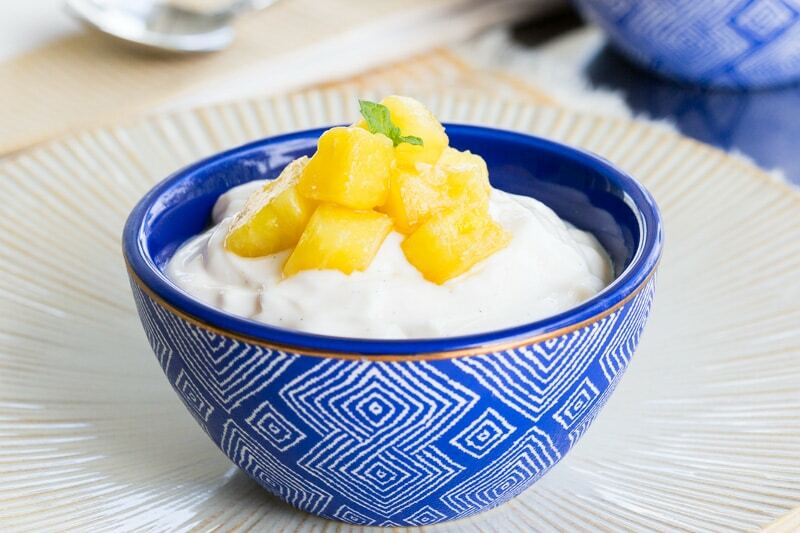 Taste and experiment and you’ll find all sorts of exciting ways to use pineapple sauce. If you prefer a less chunky texture, you can chop the pineapple much smaller, to the point of crushing it instead of chopping it. You’ll get a more pureed texture when you cook it. When I use fresh pineapple, I prefer to maintain its robust texture, but that’s a personal choice. When I was finally ready to settle down with my cup of tea and my snack, I took a closer look at the neat little cards that came with the tea. 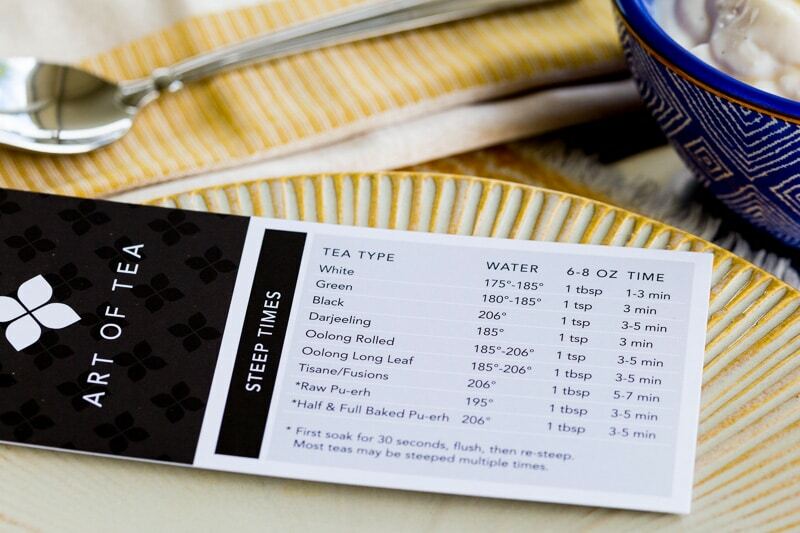 There was an Art of Tea Guide to Tea and a smaller, bookmark-sized steep time card for future reference. Everything you need for brewing! 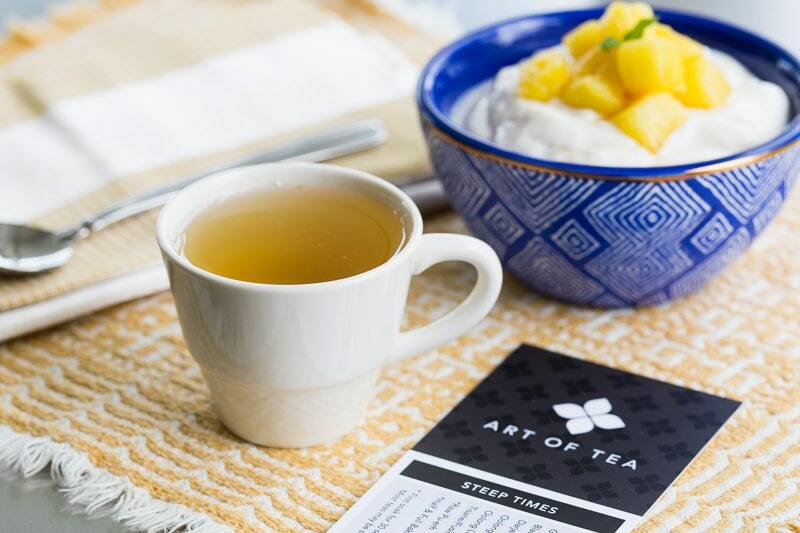 Explore Tuscany, London, Nepal, Maui, Kyoto, Big Sure, and Brooklyn, one cup at a time: check out the Art of Tea Location Collection here. 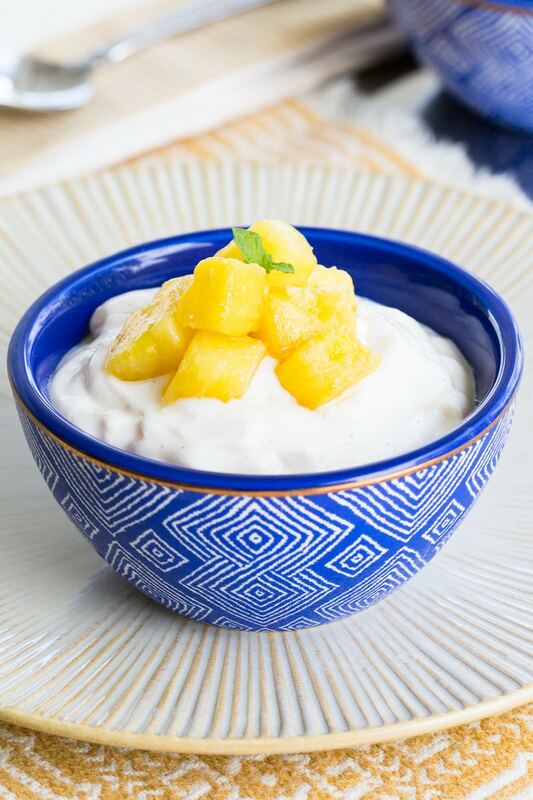 Fresh Pineapple Sauce - Just 2 Ingredients! Combine the pineapple and sugar in a small sauce pan. Add a small pinch of salt if desired. Bring to medium low heat and cook until bubbling, stirring occasionally, for 5 minutes. Remove from heat and let cool slightly. Use warm as a topping, or let cool completely and store airtight in the refrigerator to chill. I would like to try this on a banana split. Tea looks good, too!